The polar bear is the largest known land carnivore. Due to its arctic and marine environment, its body has been covered with a coat of white layers of fur and a 4 inch thick layer of blubber. The coat is also water repellant and the thick layer of fat under it insulates it from cold water (ice) and air. To reduce the surface area for heat loss the uncovered areas of its body that is the muzzle, tail and ears, are usually very small. Females are usually smaller, weighing from 200 to 800 lbs while the males weigh from 530 to 1400 lbs. They have a body length of about 7 to 11 inches. Polar bears are excellent swimmers and swim up to 6 miles per hour. They use their front paws to paddle while their hind legs steer them. Polar bears spend half of their lives hunting. Their favorite prey are the ringed and bearded seals usually due to their high fat content which the polar bears need to survive in the cold. They also feed on harp and brooded seals, birds eggs and scavenge on carcasses of beluga whale, bowhead whales, narwhals and walruses. Polar bears prefer to live in very cold areas and are found in the Northern Hemisphere in 19 separate populations along the Arctic in five countries namely the United States (Alaska), Canada, Russia, Norway and Greenland. Over 50% of the population lives in Canada. Due to their need for ice to survive, polar bears annually migrate to land at the beginning of summer when the ice starts to melt, and they return to their natural habitat after about 40 days. Polar bears start mating in late March-May. Several males may follow a breeding female and fight fiercely until the dominating male chases the others away. Females have a gestation period of about 8 months. Near the end of this period the breeding female seeks maternity dens on land especially in areas where ice accumulates where it bears 1 or 2 cubs, weighing about 1-2 pounds. These cubs stay with their mother for up to 2 years when they are about 30-40 pounds. In a lifetime a female may only bear 3-5 cubs and this number is reducing yearly. Polar bears are face the threat of habitat loss due to increased global warming leading to an increased rate in which the ice in the Arctic is melting. There has also been increased mining, shipping, oil and gas development and overfishing along the Arctic. 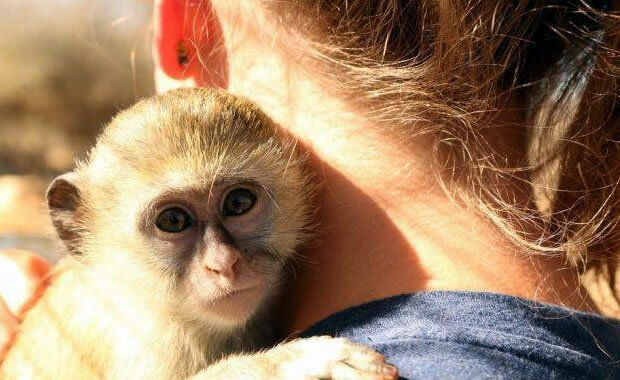 To conserve the species, the five countries where they are found have signed an agreement protecting them through different conservation measures, including prohibition of taking them or trading them or their parts among others. However, the agreement has not dealt with the issue of habitat loss which is the main threat to polar bears. The estimated population of polar bears is about 20,000 to 27,000. This population is believed to be decreasing each day. Copyright Notice: This article is licensed under the GNU Free Documentation License. It uses material from the Wikipedia article "Polar bear". Glenn, C. R. 2006. 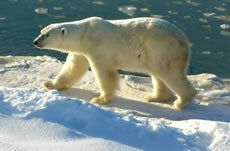 "Earth's Endangered Creatures - Polar Bear Facts" (Online). Accessed 4/25/2019 at http://earthsendangered.com/profile.asp?sp=12931&ID=9. Need more Polar Bear facts?